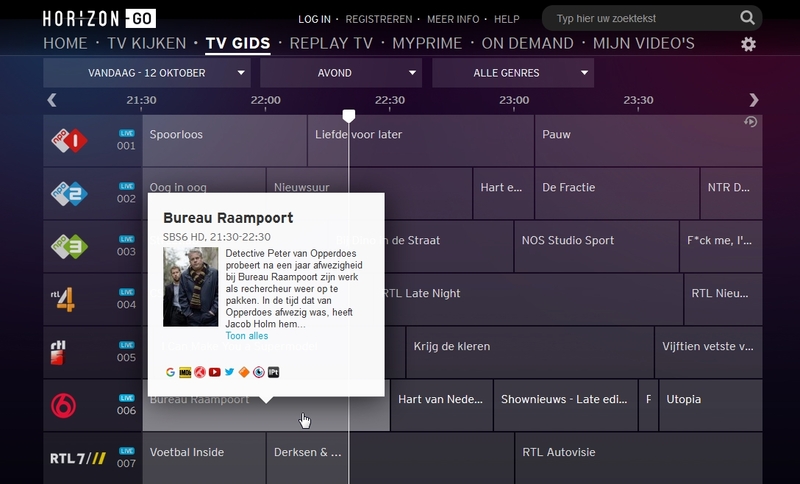 Summary: Improves the Horizon / Ziggo TV Gids by extending the functionality and the layout of the site. Improves the Horizon TV Gids by extending the functionality and the layout of the site. Greasemonkey on Mozilla Firefox desktop. This script doesn't work on browsers that don't implement ES6 arrow functions syntax.